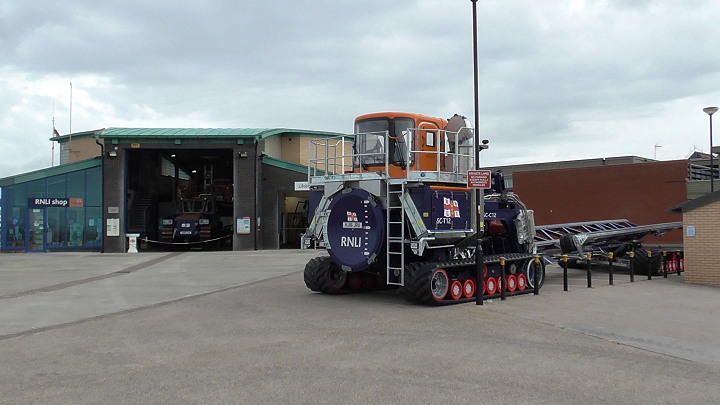 This Lifeboat Launch & Recovery System (combined tractor and carriage) is at the Lytham St Annes Lifeboat Station on South Promenade for trials to check for beach suitability and boathouse fit in preparation for the arrival of the Station’s new Shannon class lifeboat in about 18 months time. Her Majesty the Queen at present on station which will continue to use the existing Talus tractor and carriage method of launching. This completely new system is far safer for crew and shore crew to operate in heavy sea conditions as well as being faster reaching the launch position at the waters edge than the existing method of launching thereby potentially saving more lives in danger out at sea. 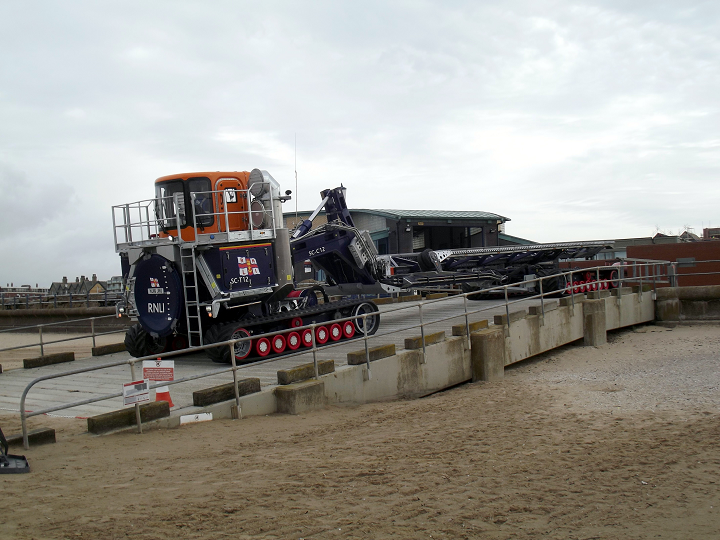 The system is expected to be at the St Annes lifeboat station for three weeks to assess the conditions experienced at Lytham St Annes.